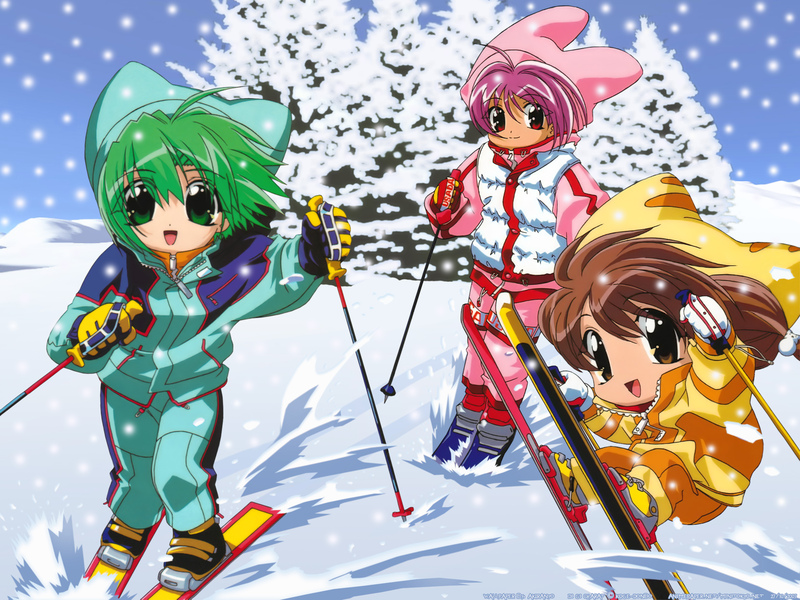 The wallpaper presents Dejiko, Puchiko and Rabi from Di Gi Charat as they skying in the mountains. I named it after a Di Gi Charat song with the same name. Altough this scan originally has a full background, I decided to change it,using the help of the quite useful Terragen software. I'm not really good at it, maybe cause the result backgrounds are a way too real, but somehow managed to make some snow based ones, which can suit to anime walplapers. Character cleaned with a bit vexeling/Smudge Tool. The trees are from a real photo and the snow on them are added with PS paiting and effects. Nice work. Really beautiful wallpaper. Thanks for sharing. his three very nice! for his dark by di!